I have been going through some old photos from last season recently, and realized that I have a ton of shots that have not seen the light of day. I was very lucky to cover multiple events last year for Decline Mag, but unfortunately there is never enough room in a magazine to run them all.. So I have decided to take "a look back" at last years events, and post up some photos that haven't been seen yet. I had my first rampage experience as a spectator in 2003. 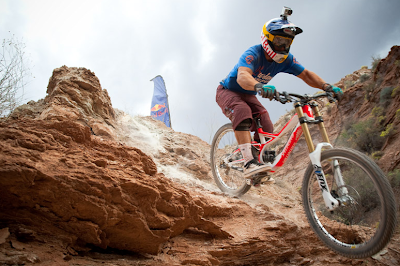 At the time, I was just getting into the whole freeride side of MTB. I had seen clips of Bender hucking cliffs in southern utah, and was amazed at what he was doing. Being from the Salt Lake area, I took full advantage of the chance to witness this go down firsthand... Fast forward to 2010, and I am back at Rampage, only this time I am here to document what is going down.. 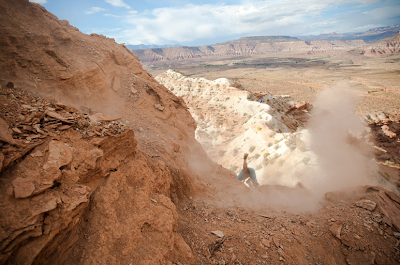 Being a photographer at Rampage is definitely the easiest job there. Compared to what the athletes are doing, it is a cakewalk. I won't say it is "difficult" but it can be a bit challenging at times... Yeah, your dealing with extreme temps and terrain, dust clouds for days, scrambling up and down cliffs with multiple cameras and bags; all to get the right angle. But so what? 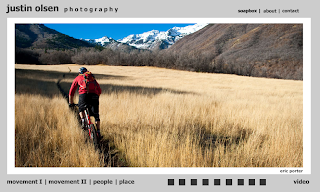 The challenge is not the terrain; after all we are MTB photographer, the challenge is to create a unique image with so many other cameras around. These are not all unique..You have probably seen different angles of most of these images. But there is one shot, one angle, that has not been seen by anyone... yet. Here are a few of my favorite photos from this years event. ^^^ Steve Romaniuk.. Period. Who else would guinea pig this type of setup? This photo does not do this justice. I have not seen an image yet that does. This was flat out insane. This is Rampage. Big props to Romo for taking the risk so that others would realize it was "possible"
^^^ Tyler McCaul was killing it all weekend. 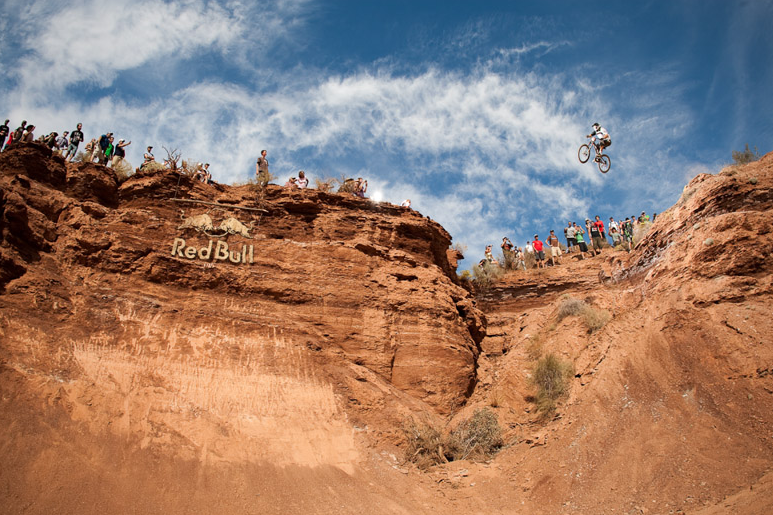 For a first time rider at Rampage, he was not hesitating. In my opinion, he has one of the most stylish whips in the game. There are tons of photos from Rampage to prove it. I got this shot almost by accident. I turned around just in time to see this happen. I like it because it really illustrates the conditions these guys are riding in. 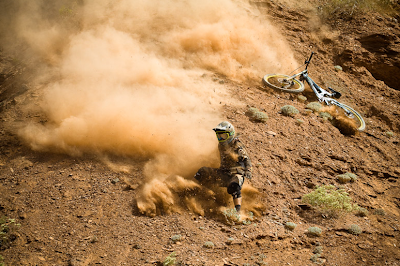 They wreck, roll, slide and disappear in a cloud of dust.. and when it settles get up and do it all over again. 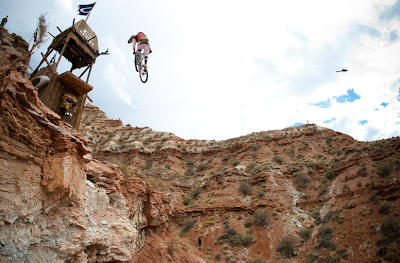 ^^^ Darren Berrecloth's line was arguably the gnarliest one on course. Watching the footage of him riding it doesn't do it justice at all. I walked his entire line during practice (which is when I snapped this shot) and the technicality of it was next level. Multiple huge drops in a row at the beginning, with super small, tight landings. It was sick to see him dial it in, and ride top to bottom. ^^^ This is the shot that no one has seen. This was Berrecloth's final run, which he dropped into after waiting a couple hrs for weather delays. I was attracted to this angle because of the background, and shot a sequence of it as he dropped in. I was in shock after watching him go over the edge, thinking that he had just face planted a 20ft+ drop.. But somehow he rode away from this, shook it off, and cleaned the rest of the line. If you frequent this blog (which I don't think anyone does) you have probably noticed some changes to it's appearance. I have also been working on updating the images and information on my actual website head on over to it and have a look! I also added a "video" button, which is currently pointed at my Vimeo page. I am working on trying to embed video on the site itself... hopefully soon. I am back at Canyons Ski Resort this winter as the staff photographer/videographer. It has been an epic year so far. We had storm after storm around the holidays, which made for some great pow days, and has now left the mountain with a solid base. Here are some of the videos that I have done for the mountain so far this season..